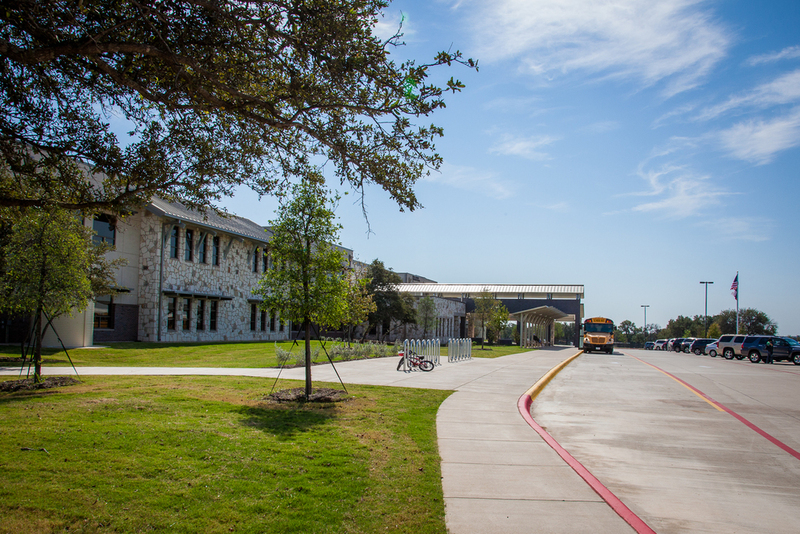 This $26 million project to build Elsa England Elementary School consisted of surveying, civil engineering design and permitting for a new Round Rock I.S.D. 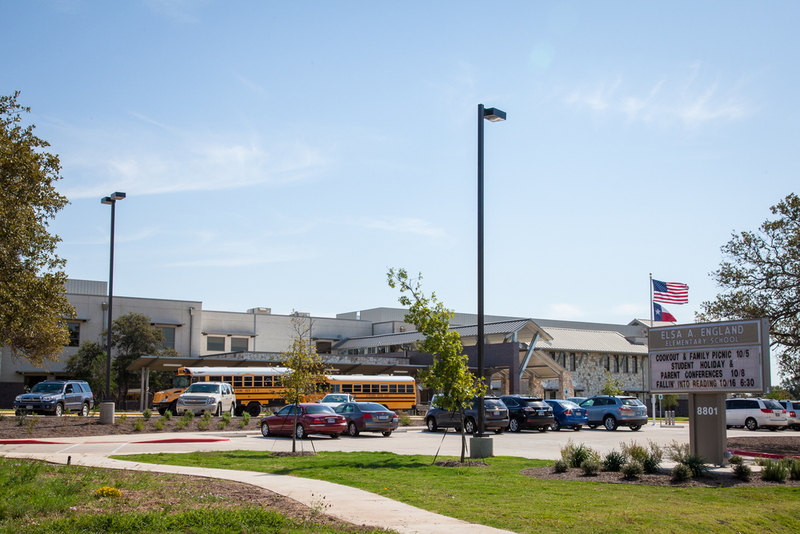 elementary school to serve 900 students in a 110,000 sf building on a 30 acre site. 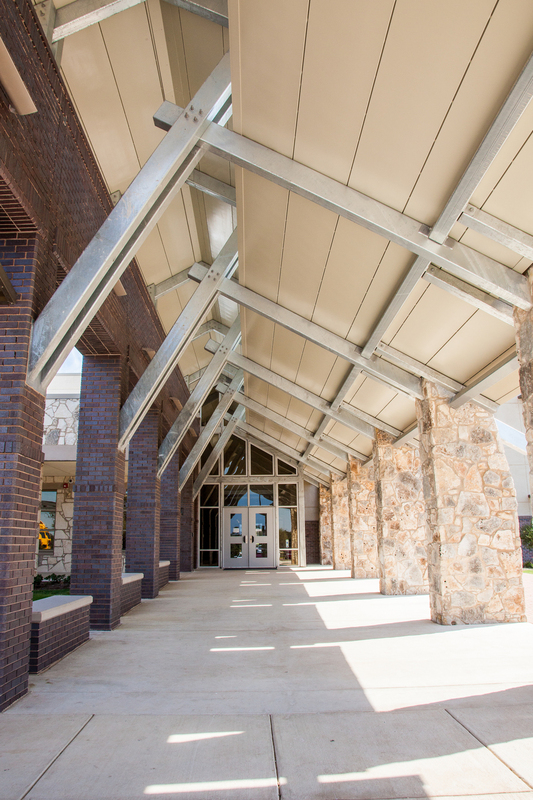 Design included civil/site work for the main building, detention and water quality ponds, playgrounds, walking track, driveways and parking lots. Coordination with the architect to layout the site in order to preserve as much of the trees and natural areas as possible. Mitigation of several voids that were encountered during utility line installation. Coordination of concurrent construction schedules for this school and Pearson Ranch Rd in order to meet the district’s project schedule and open the school on time. Providing fire protection during construction through the construction of a temporary fire line from Brushy Creek MUD. Providing all utility service for the school via off site line extensions. Design of site traffic to accommodate the future middle school site. Design and permitting of a haul road for contractor access to the construction site. Design of a traffic control plan for vehicular and pedestrian traffic approaching and leaving the elementary school.